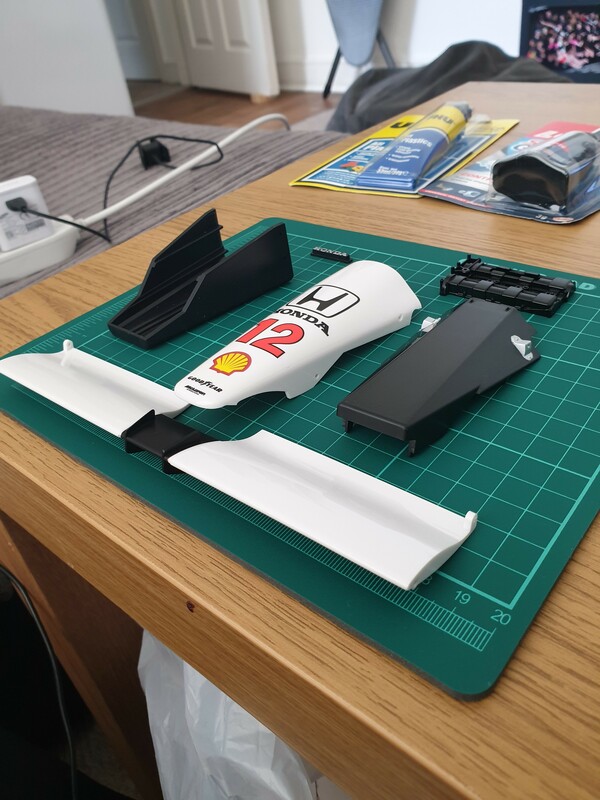 I've recently started a subscription to build Senna's MP4/4 in 1:8 scale. As it was his birthday yesterday I thought it would be nice to share the build with everyone here as it goes on. I'll include as many photos as possible of what I think is relevant or interesting, but if anyone has any specific photo requests please let me know. 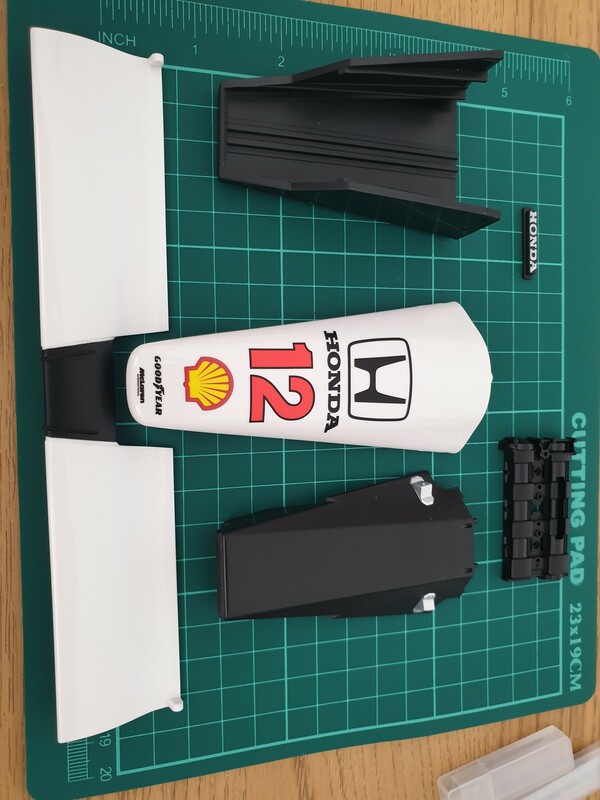 I've done a 1:8 scale MP4/23 a few years ago which was fun, but I do not profess to be an expert model maker. So bearing that in mind I've done the best I can with my own impatience. PS I'm also using this first post to test the image sharing as I haven't done it before on this forum. 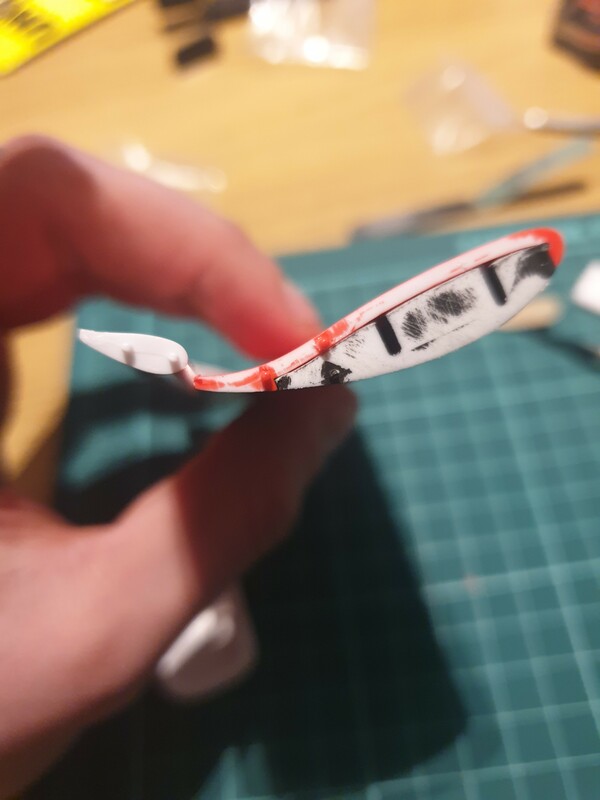 The assembly for this stage was straight forward, simply scraped some paint off of the contact points of the wing and nose box, and fit. 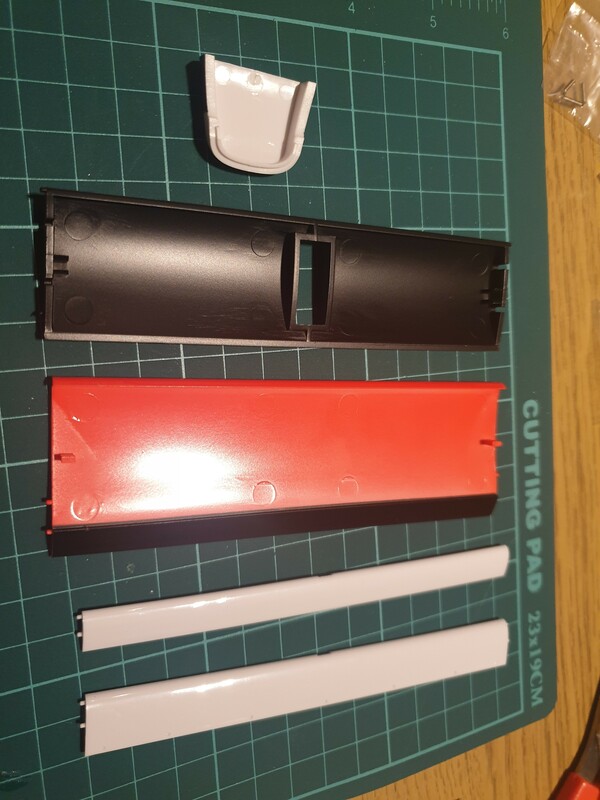 I used masking tape to keep the parts together while the glue was drying. Thanks for reading, Issue 1 part 2 will come later this week. Of particular interest to me was profile of the wing elements, mainly just because I enjoy little details like that. 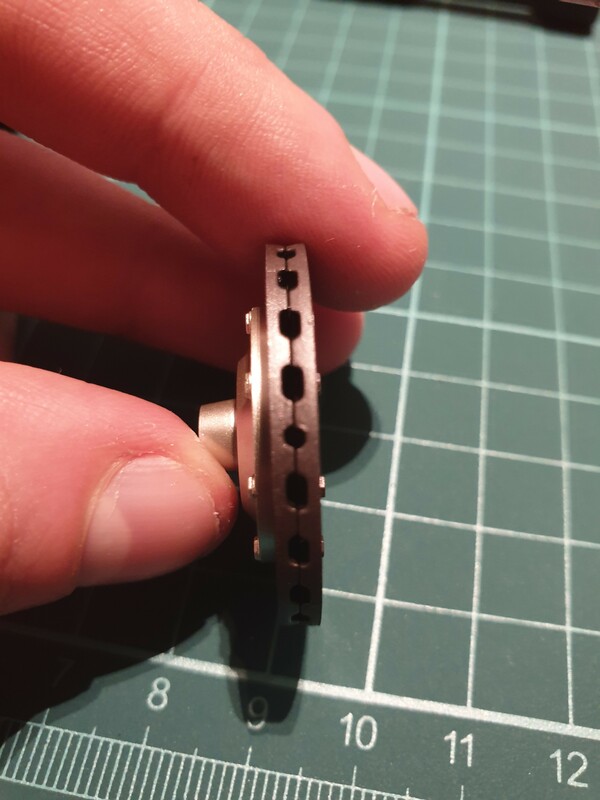 I found the most difficult part of this, (and I suspect that this will be a recurring theme) was using the provided mini screwdriver to tighten the screws without damaging the heads. I think going forward I will invest in a set of precision screwdrivers. 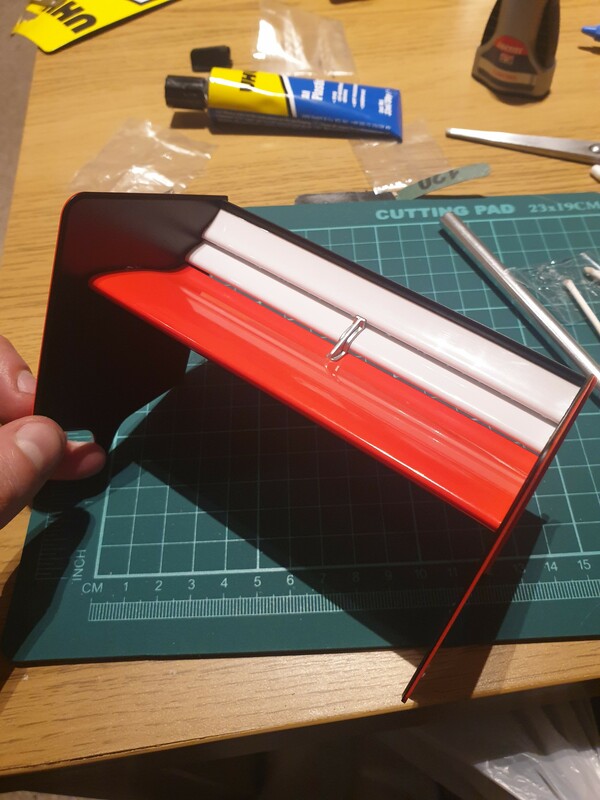 The wing elements are all attached with screws, so there was no gluing in this stage. The wing itself can be adjusted through low, medium and high downforce positions which I found to be a nice little touch (the 3 small holes pictured on the right below). 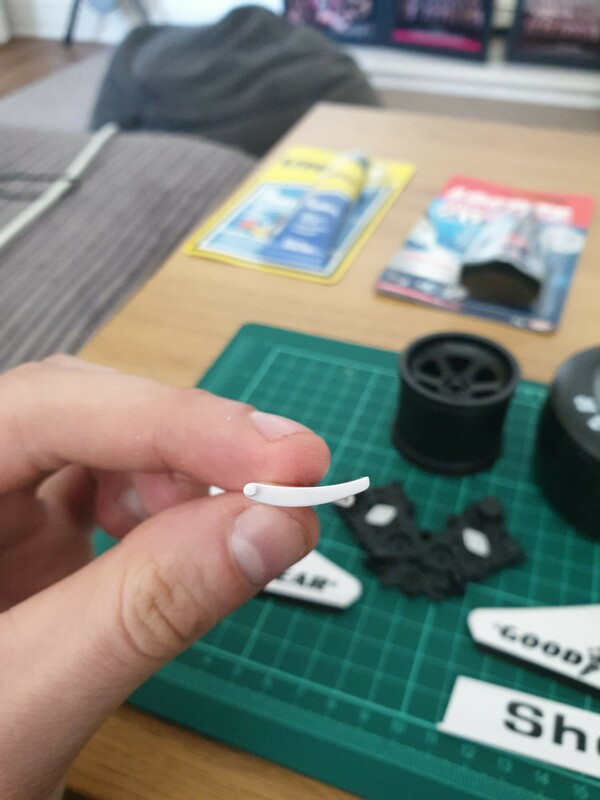 Due to some complications with the delivery I have accidentally ended up with 2 sets of parts for the front wing. 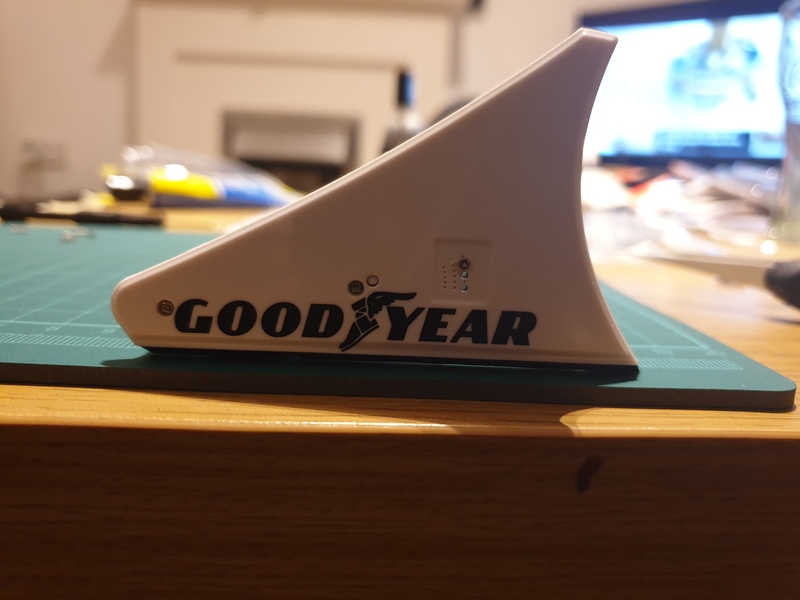 So I plan to do one in high downforce (pictured below) and one in low downforce (which I'll assemble and post a comparison photo) to have on display next to it. Issue 1 part 3 progress coming up. 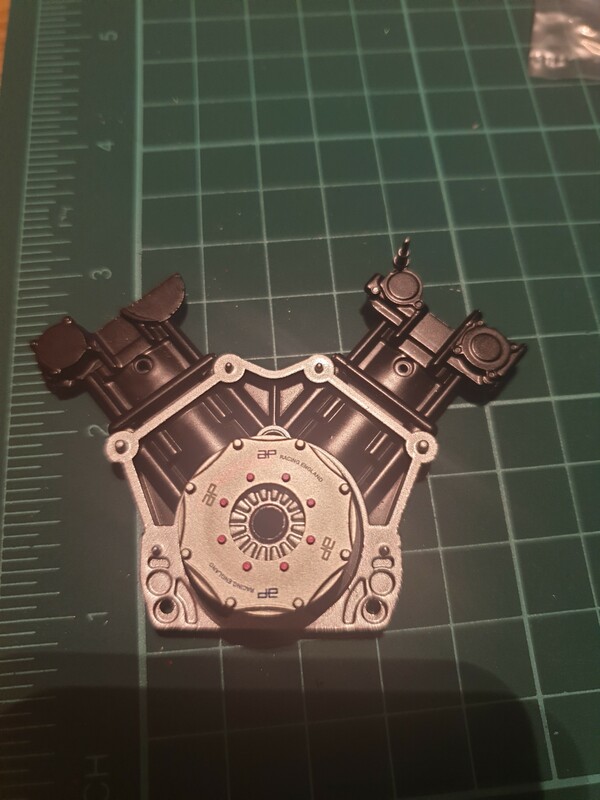 This part covers the assembly of the front left brake, and temporary assembly of the engine block. 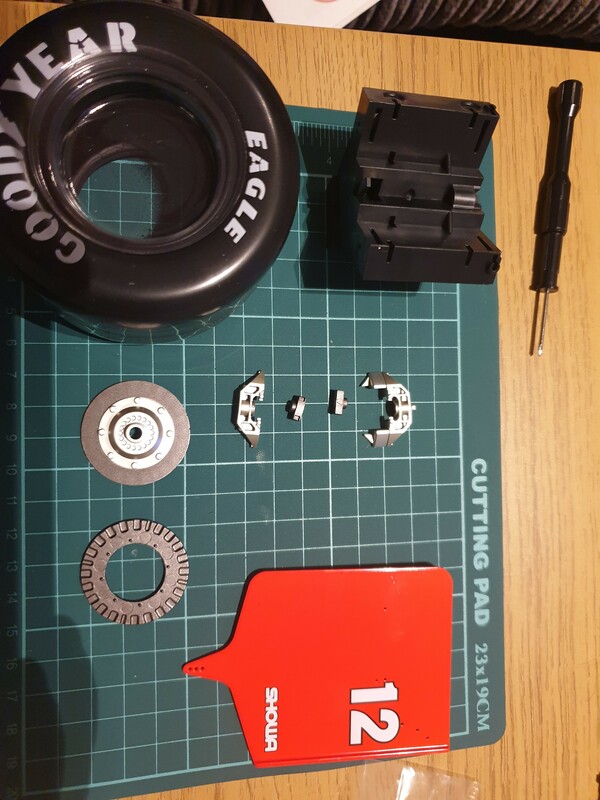 Parts included are shown below. 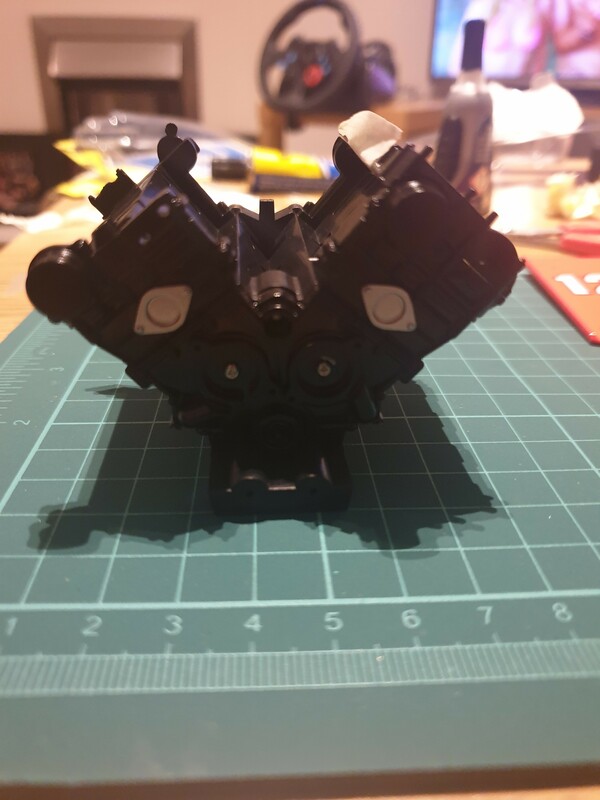 That's it for this stage, not very detailed I know but the actual assembly for this was simple gluing and a couple of screws. Nothing that I found particularly noteworthy. If you would like to see anything extra included in the steps or detailed photos of anything else just let me know. Very cool. 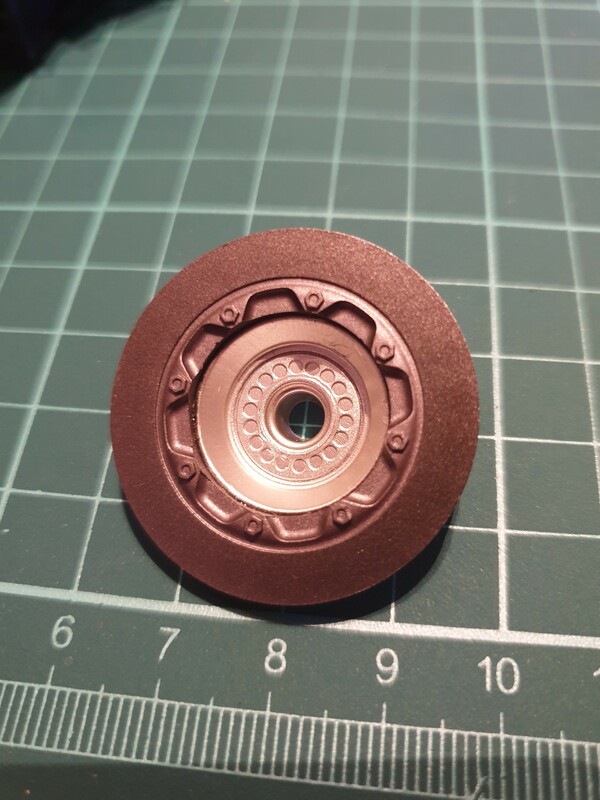 If you wouldn't mind sharing - where did you get this model (subscription) from? Certainly, it is the modelspace/deagostini model. 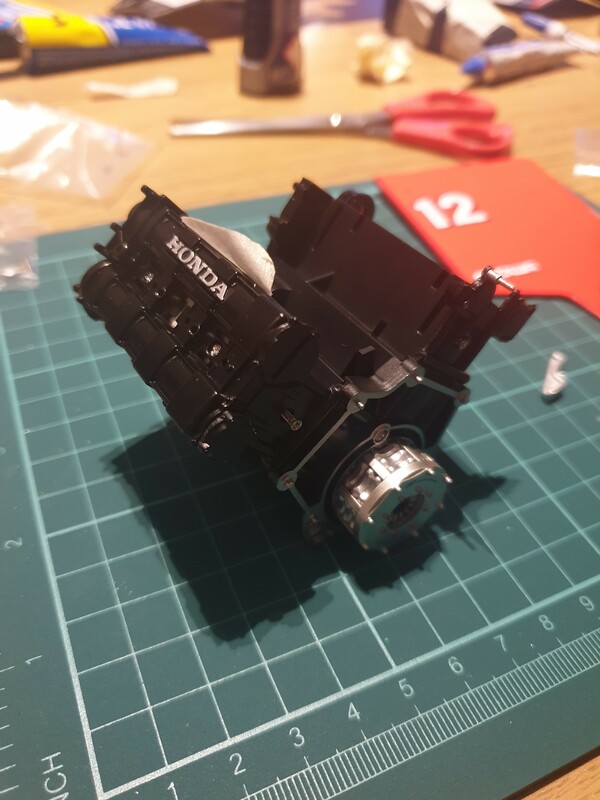 They do a few different ones, I've previously built a 1:8 mp4/23 (2008 mclaren) and they also offer a 1:7 remote control RB7 which I might tackle after this project. Wow. The kit looks awesome.... but I just checked the prices. Pricey. But looks very impressive. 2 updates this week for you, you lucky bunch. 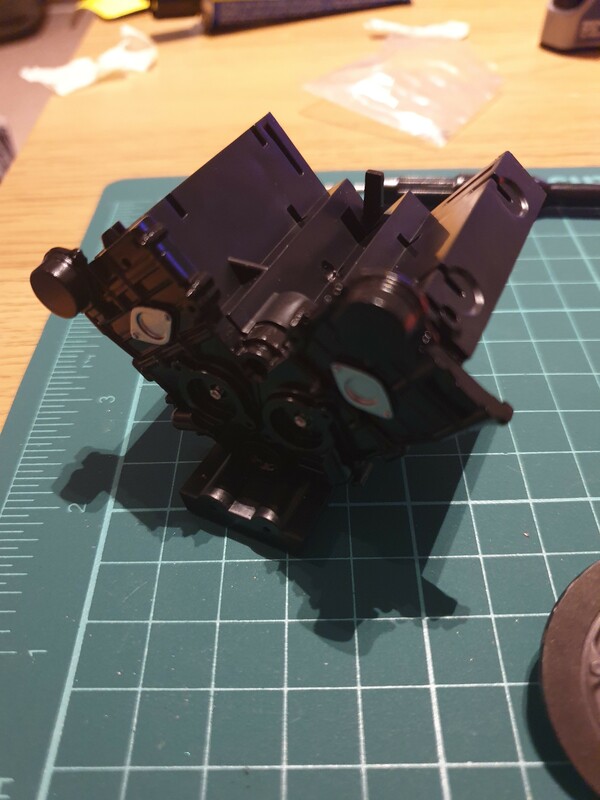 Firstly the regular update from the next stage of assembly. 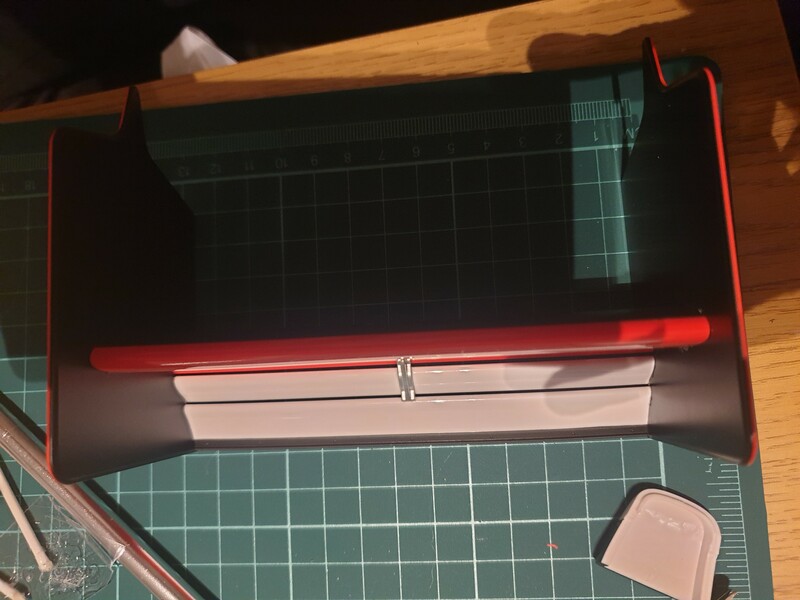 Secondly I got round to putting together the 2nd front wing that I mentioned in stage 1. 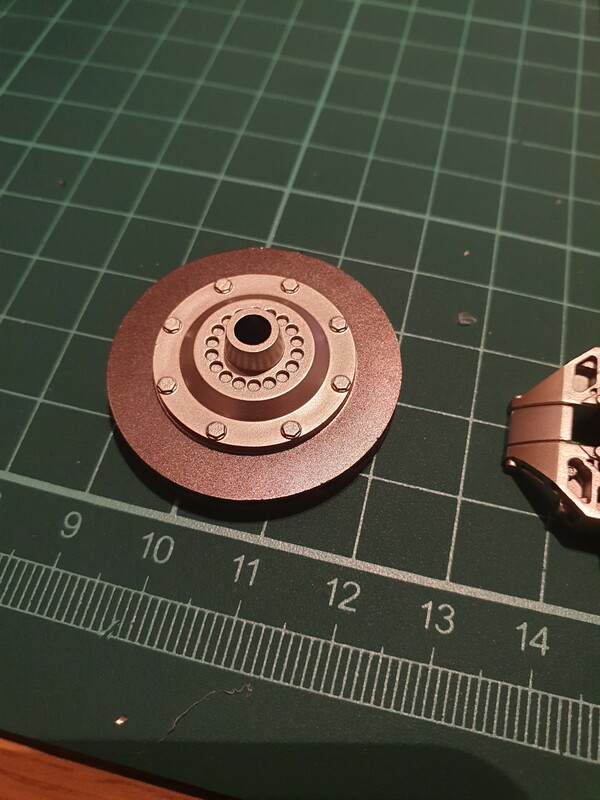 Supplied in this stage are the clutch disks and cover, the inner and outer brake calipers and pads for the continuation of the front brake assembly and the other rear wing endplate and rear wing stay to be assembled later. PS. 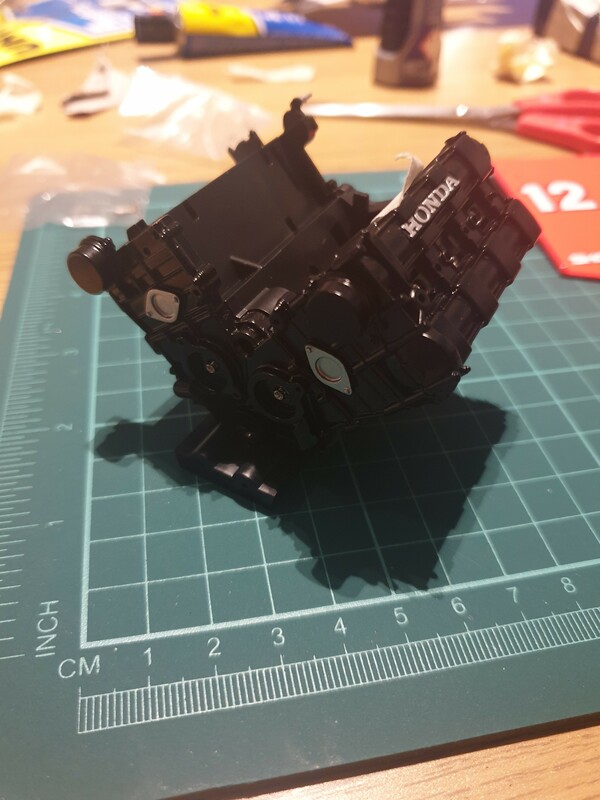 The magazine has recommended applying an ink wash to some of the parts to give an added element of detail. Why this isn't done by default I'll never know, but when I get round to doing it I'll include it in the weekly update. PPS. Yes that's a steering wheel in the background haha. If anyone plays F1 on PS4 I'll be down to go wheel to wheel sometime. Productive weekend on the model this week. Going to upload Issue 2 parts 1 & 2. This one is quite a good one, with an exciting detail covered later. 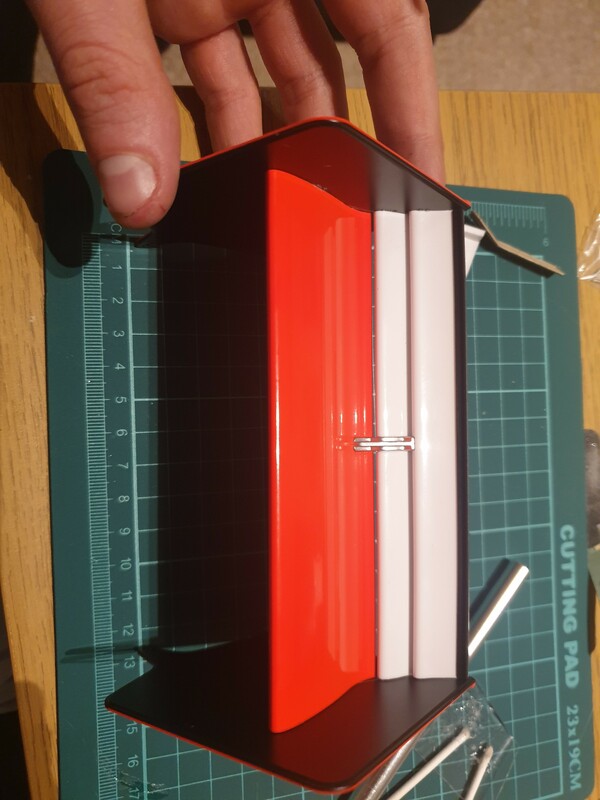 So first up, issue 2 part 1: Assembly of the rear wing. 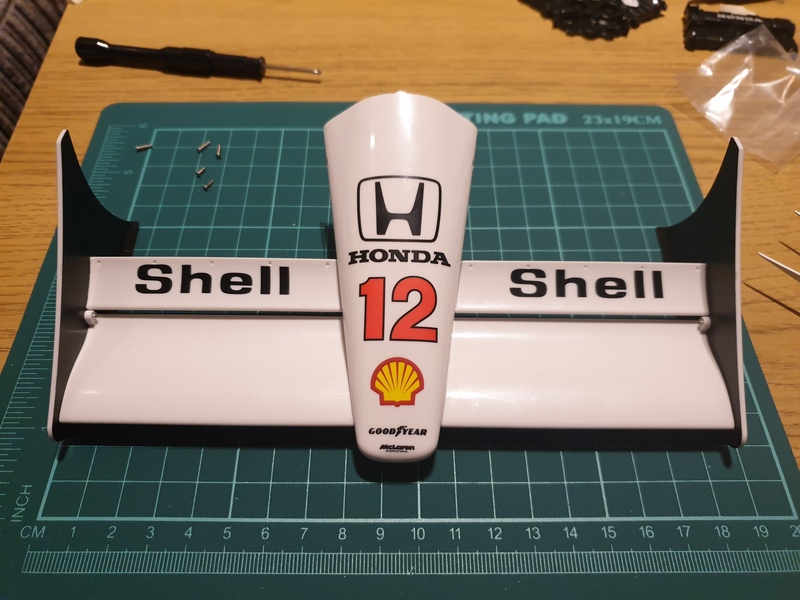 This part provided the 3 elements of the rear wing ( the main plane in 2 parts hence the 4 elements in the photo) as well as the nose cone for the front wing. 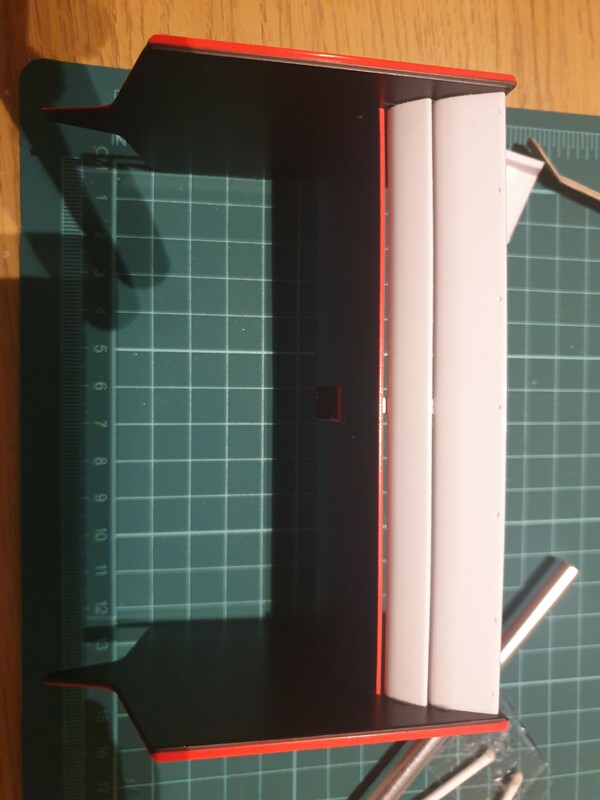 Next 2 photos are the interim rear wing assembly while I test fitted stuff. As with the front wing I find it right interesting looking at the aero profiles of the wing. Assembled rear wing at this stage, the wing was just assembled using glue for this stage. No screws needed. Also note the wing stay between the profiles. 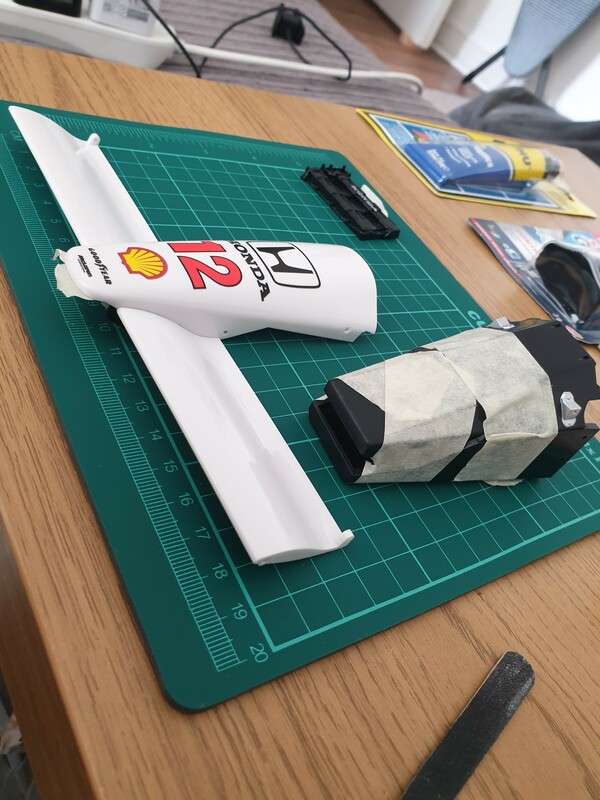 Issue 2 part 2: Continued assembly of the rear and front wings and some more engine parts to be used later. 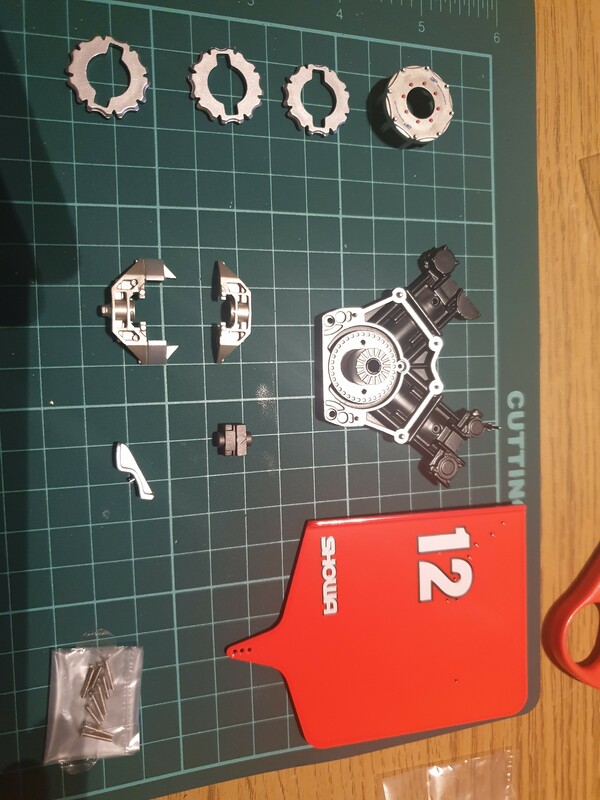 Parts included with this one are the rear wing stays, the front wing skid plates, engine plenum and plug caps. 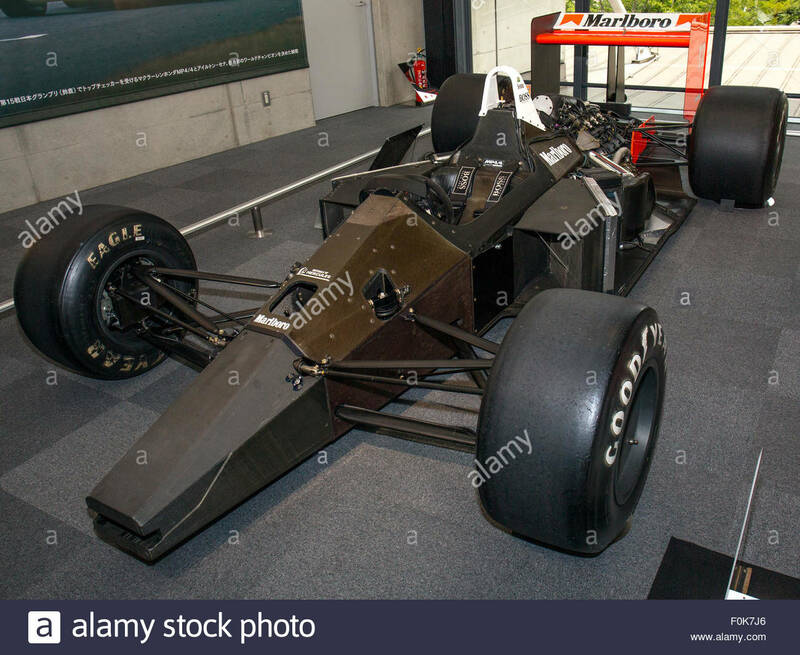 So the bit of the model I'm excited about which I've noticed is that the rear wing is missing the Marlboro sponsorship. after looking at the promo material for it and stuff that is on the magazines it doesn't appear to be anywhere. I'm guessing due to the tobacco sponsorship. 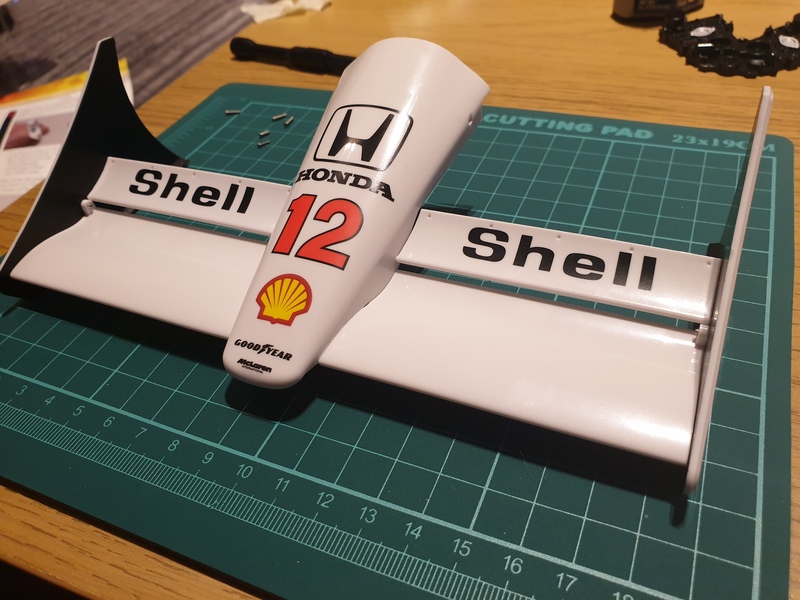 But anyway I've found a set of 1:8 MP4/4 decals online with all of the original sponsors so I've promptly ordered those and will be putting them on as soon as. I think it'll be a really nice touch on the finished model. Anyway, that's it for now guys. I'll check back in next week. 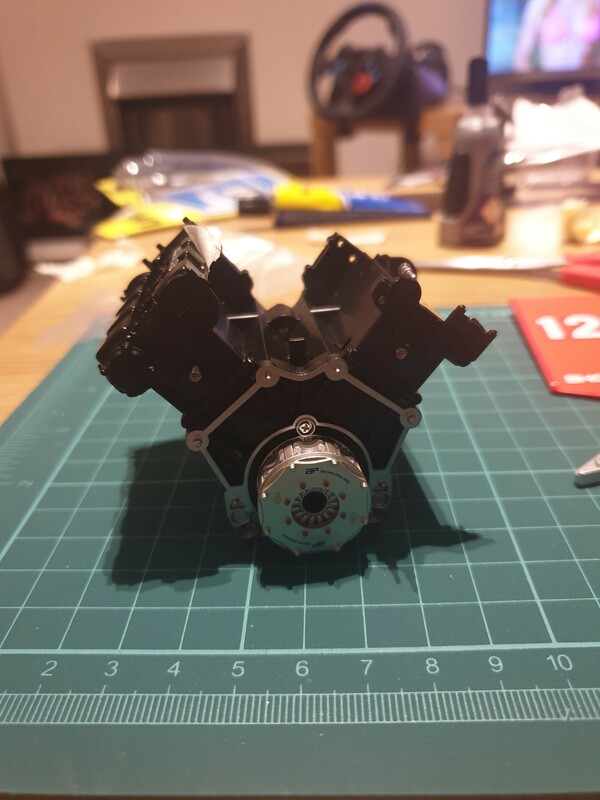 Postponing an actual build update this week in favour of asking advice. 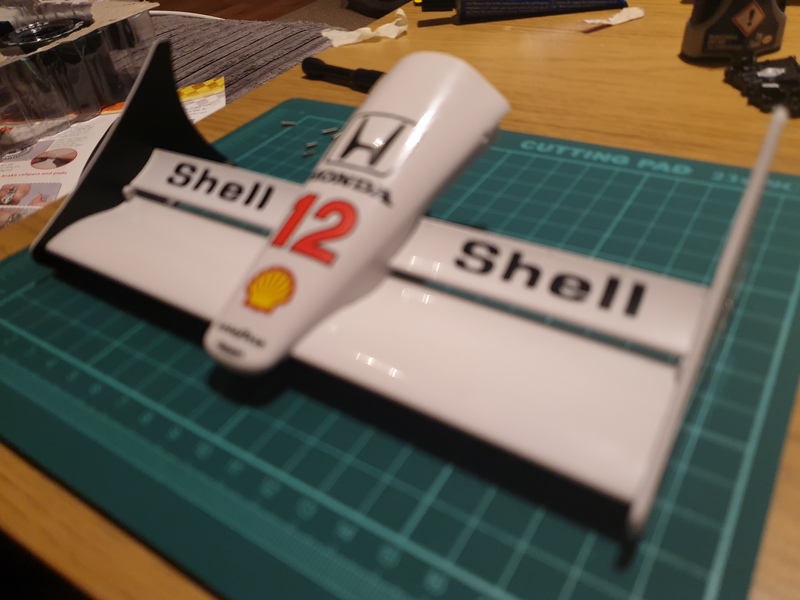 I've got the decals that I previously mentioned (Marlboro ones etc) but can't seem to identify them all properly from a combination of the decal sheet and images on google. 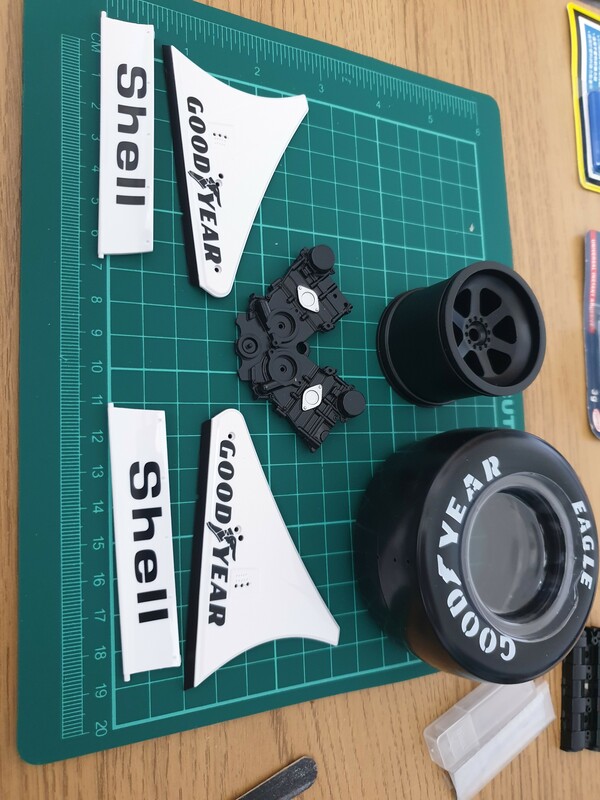 I've attached a photo below with the references of where I think they go, as well as close up ones of the smaller decals. If anyone can fill in the blanks (in bold) it would be much appreciated. 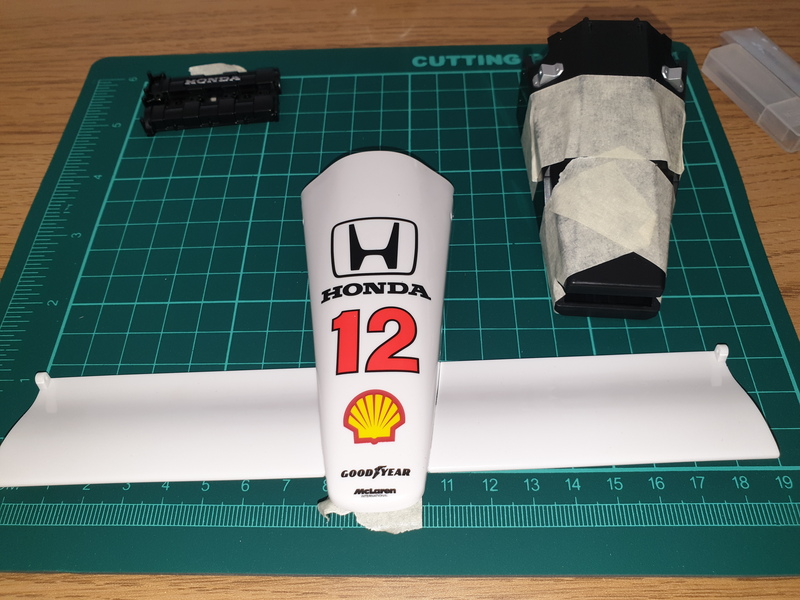 I'm unsure which of the logos will be on the final model, but from looking at the photos of it in the magazine and stuff I think it'll be all of the numbers, the Honda, Shell, Tag Heuer, driver names and Mclaren logos. 3) Red electric symbol on a blue triangle: No idea of location?? 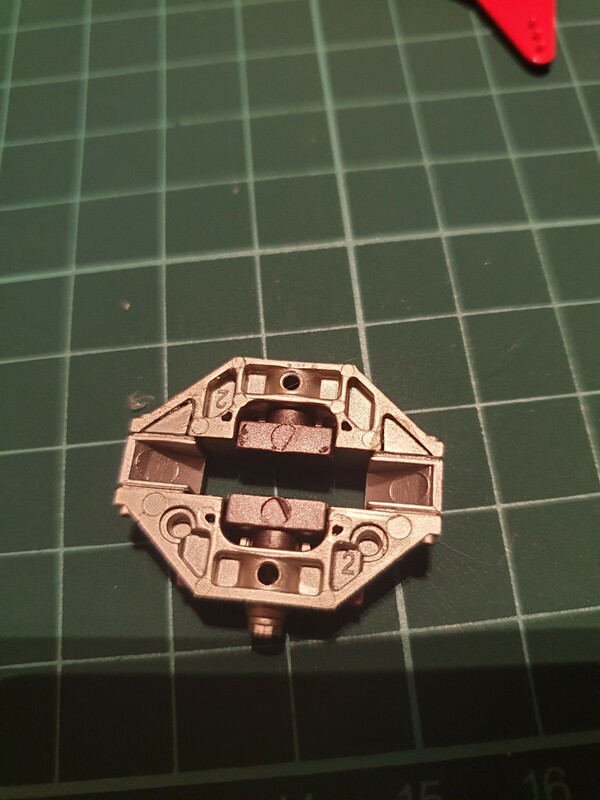 4) "Diecast magnesium, made in england" logos: No idea of location?? 7) Small Blue rectangles with yellow centres and black numbers x20: No idea what these are or where the location is for?? Small Marlboro logo: No idea of location, possibly nose cone? But it doesn't appear to be on any photos that I can see from the real car. 18) Large Marlboro logos x2: on the side of the body work, under the roll hoop but above number 2 on this list. 19) White Marlboro logo x1: I think this goes on the bare chassis underneath number 21 on this list, see 21 for photo ref. 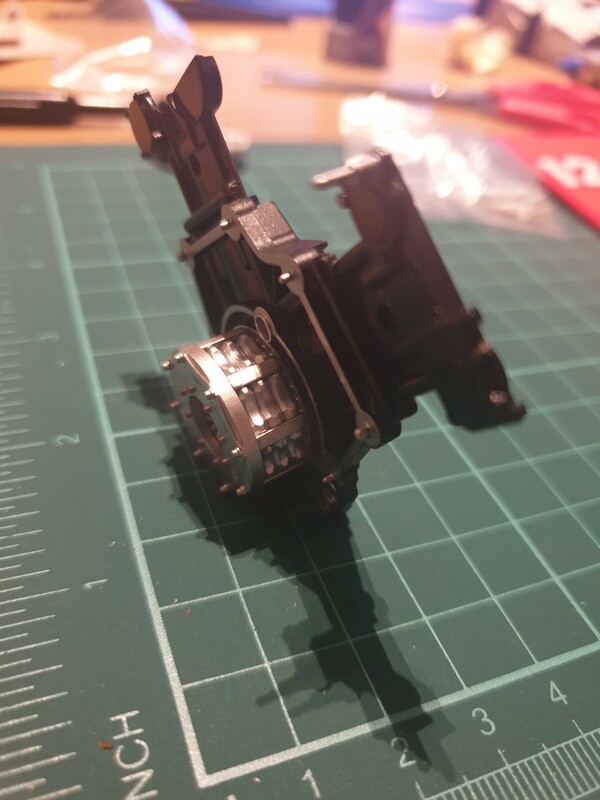 20) MP4/4 chassis number plate: I think this goes behind the seat? Or inside the cockpit?? (I can imagine this will be on the finished model?? 22) Marlboro logo with split in the "lb": Nose cone, based on the photo of the locations from the first image. The break line of the nose and chassis is clearly in the same place as the split in the "lb". 25) Marlboro logo with red elements: Rear of the rear wing, as per photo of the logo locations in the first image. 26) Marlboro logos with red elements x2: Side of the cockpit under opening in front of roll hoop in side elevation. 27) "DYMAG" logos: No idea what these are or where they're supposed to go?? Like I say any advice would be appreciated.